How Much Does the 2018 Toyota Corolla Cost? How Many MPG Does the 2018 Toyota Corolla Get? What’s New for the 2018 Toyota Corolla? The Toyota Corolla is a vehicle that is constantly evolving, but always remains a great staple for sedans and hatchbacks. It’s one of the most popular cars in America and has been consistently rated a top safety pick for consumers. Back in 2017, the Toyota Corolla underwent an overhaul, both inside and out. So, the 2018 offering will not feature any drastic changes, but there are some subtle upgrades here and there. To get a better idea of what’s new for the 2018 Toyota Corolla it’s best to break it down into two categories. There are sedans and hatchbacks. There are six sedan model trims available and two model trims for the iM hatchback. Most changes occur in the sedan lineup. One significant change is that last year’s 50th Anniversary Edition is no longer available. Also, illuminated vanity mirrors are now available in all of the sedan models. There have been some upgrades to the XLE and SE trims. You can now have a sporty, leather-wrapped steering wheel to add some distinction to those particular trims. Some standout features for the iM hatchback are its Euro-inspired exterior style and tight suspension system. It’s fun to drive and super comfortable to ride. The 2018 Toyota Corolla is a very straight-forward vehicle. You get loads of standard features and some of the best safety systems in the category. The IIHS rates it a Top Safety Pick*** and the NHTSA gave it five stars overall. **** The Corolla is affordable, stylish and great on fuel. 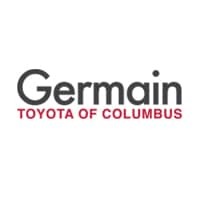 You simply need to come visit your local Toyota dealer in Columbus to see for yourself. Book a test drive with us and our friendly, knowledgeable staff can answer any questions you might have. The 2018 Toyota Corolla is waiting for you. * MSRP excludes the Delivery, Processing, and Handling Fee of $895 for Cars (Yaris, Yaris iA, 86, Corolla, Corolla iM, Camry, Camry HV, Prius LB, Prius, Prius Prime, Mirai, Avalon, Avalon HV), $995 for Small/Medium Trucks, SUVs and Van (C-HR, RAV4, RAV4 HV, Highlander, Highlander HV, 4Runner, Sienna, Tacoma), $1,295 for Large SUVs (Sequoia, Land Cruiser), and $1,295 for Large Truck (Tundra). (Historically, vehicle manufacturers and distributors have charged a separate fee for processing, handling and delivering vehicles to dealerships. Toyota’s charge for these services is called the “Delivery, Processing and Handling Fee” and is based on the value of the processing, handling and delivery services Toyota provides as well as Toyota’s overall pricing structure. Toyota may make a profit on the Delivery, Processing and Handling Fee.) Excludes taxes, license, title and available or regionally required equipment. The Delivery, Processing and Handling Fee in AL, AR, FL, GA, LA, MS, NC, OK, SC and TX will be higher. Actual dealer price will vary. **** NHTSA Government 5-Star Safety Ratings are part of the U.S. Department of Transportations New Car Assessment Program (www.safercar.gov). Model tested with standard side airbags (SAB).